Well, there are a few facts. The 49-year-old Dix was born in Vancouver on April 20, 1964. Father an Irish immigrant insurance broker in Vancouver. Dix served as Chief of Staff for former NDP Premier Glen Clark, 1996-99, then took a bullet for the party when Clark got in trouble; Dix fibbed for the boss, and was dumped. Clark eventually went on to work for B.C. billionaire businessman Jimmy Pattison; Dix wandered in the French-speaking woods, worked for a B.C. French-immersion NGO, then did the standard media pundit gig until he was elected to the legislature in 2005. Married to poet Renee Saklikar. P.S. Pollsters, pundits and prophets turned out to be wrong. Premier Christy Clark’s Liberal government was handily re-elected with a 50-33 seat majority in the May 2013 provincial contest. 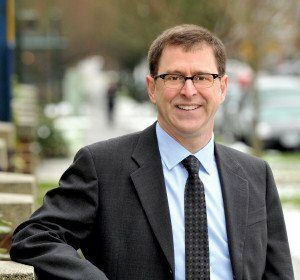 Definitions of Adrian Dix likely to remain fuzzy in the history books.